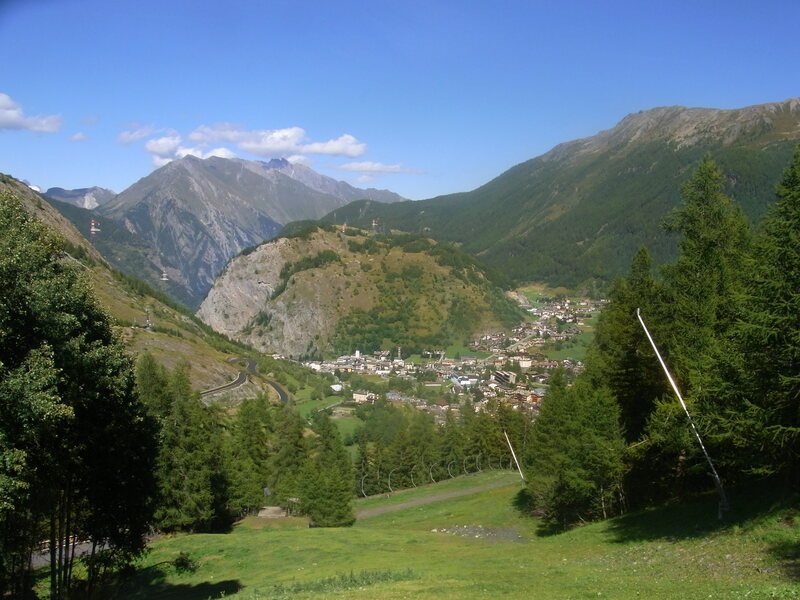 A super little ride starting in the Italian ski town with no tunnels on this section. The sun was shinning and everyone was enjoying Gelato. 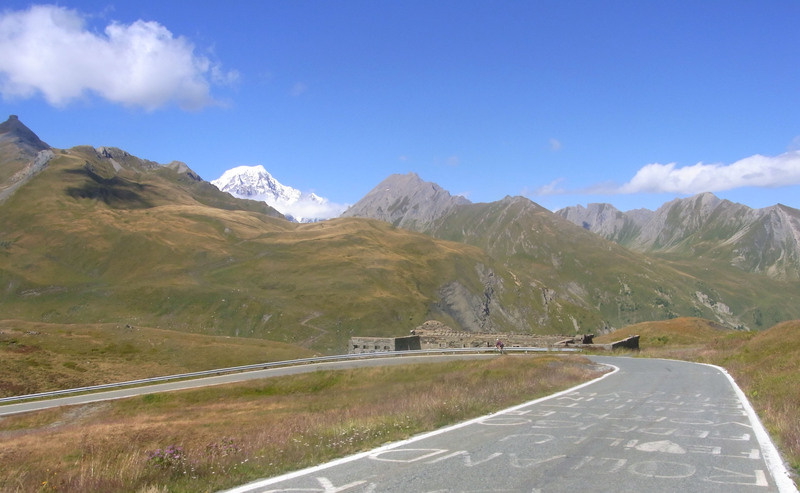 New tarmac marked the way up the valley with easy hairpins and gradients of around 6 to 7%. 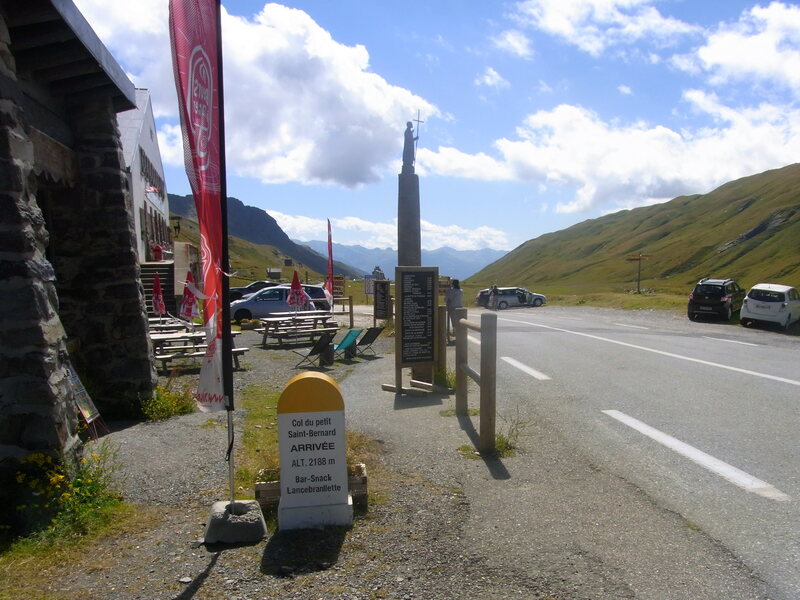 With signs along the way showing the ski routes of Black and Red. The scenery again was spectacular with a time far forgotten and classic Alpine vistas with Larch and Pine framing the views. The traffic was quiet but it was lunchtime. With around 2.5 miles to go, the ride was a dream effortlessly peddling round the sloping bends and then we hit the wall of wind. 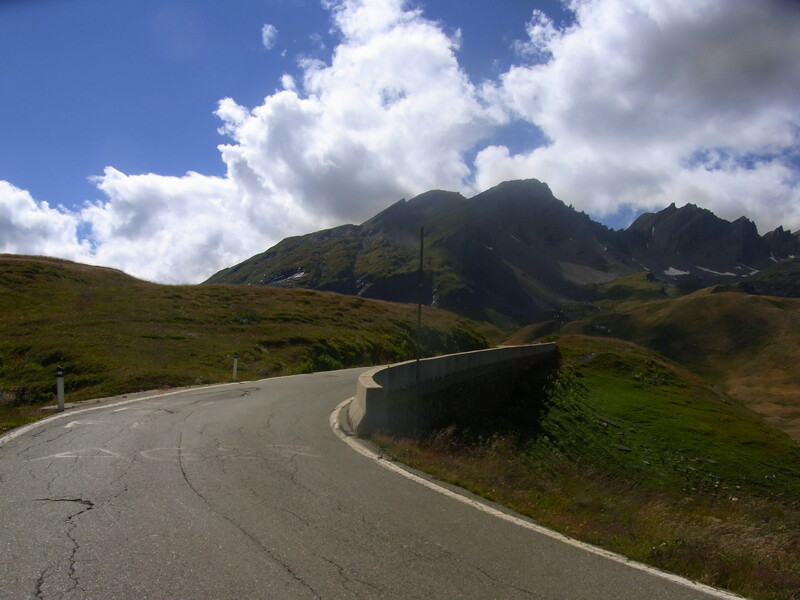 Coming straight over the top of the Col and making the easy 6 and 5% a wind tunnel ride to the top. But with the sun shining and staggering mountain peaks we put our heads down and made the way to the top. 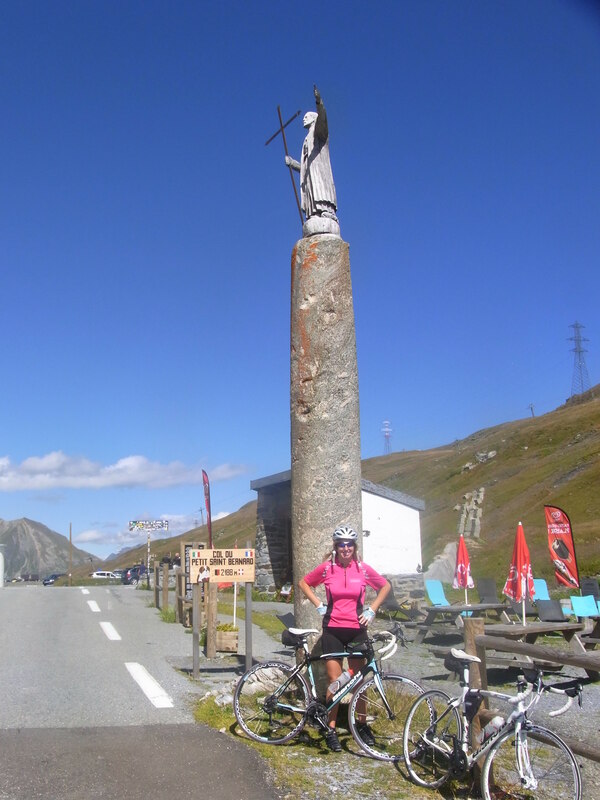 Like the Grand Bernard this top shares the land with two countries Italy and back into France down to Bourg St Maurice. At 2188 metres this is a great iconic ride, Alpine prettier than it’s big Brother. Saint Bernard standing strong in the full gust of wind. Cycling Legends from 2009 their names still on the road, when the Tour de France went across both passes in one day. 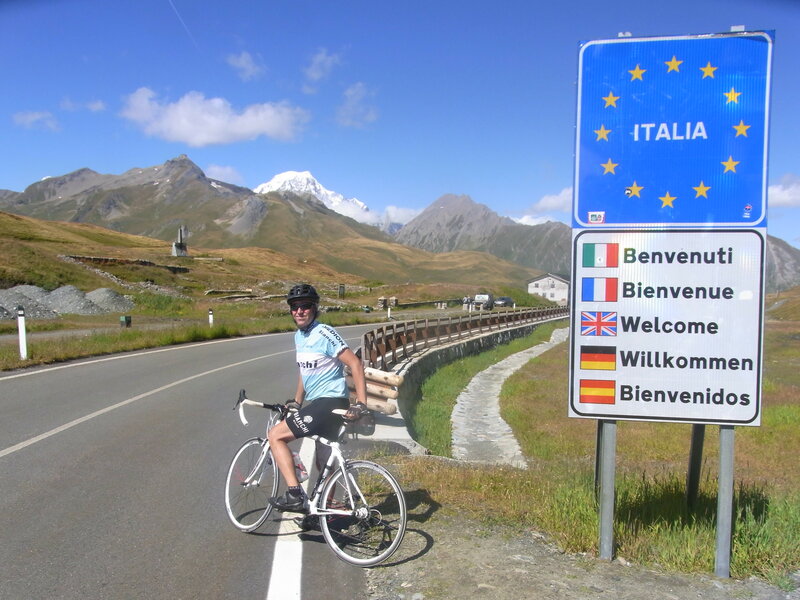 Image | This entry was posted in Cols over 2000m, French Alps, Italy and tagged Col du Petit Saint Bernard, cycle rides aosta, cyling petit saint bernard, la thuile cycling. Bookmark the permalink.